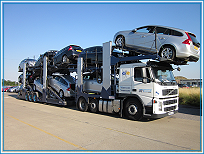 ALP Transport offer a transport service which covers the whole of the UK, and we can deliver to car dealerships, auctions and private customers. We transport new or used cars and light commercials which are fully insured whilst in transportation. We can also offer storage facilities for vehicles on a short or long term basis.